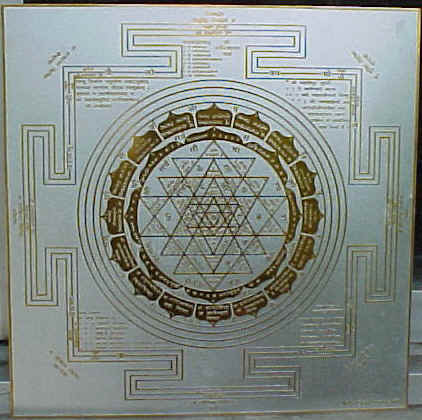 Shree yantra is the yantra of Godess Tripurasundri. 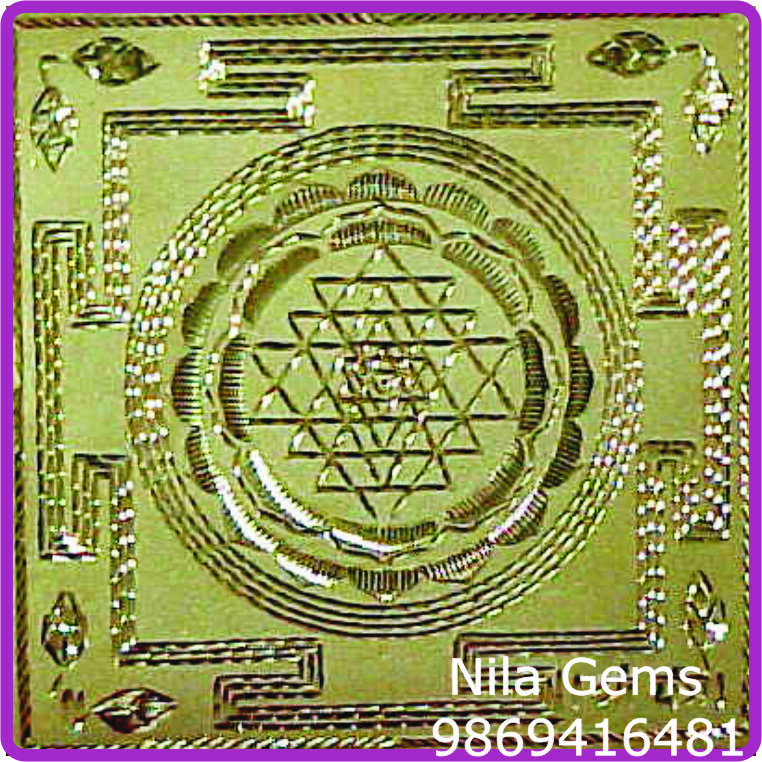 written in Saunderyalahri, also know as Yantraraj, king of all the Yantra, by the worship of this Yantra we achieve all the goal of life, Financial Sound Position, Happiness Success in life. With every Yantra we send the details, how to perform Pooja, Sthapana, Hawan[ Yagna ],etc.. 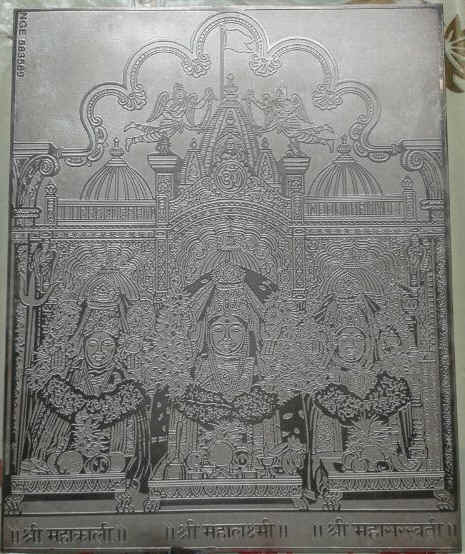 This Shreeyantra established in the Temple, Home, Factory, Office, in the Pocket, etc.. This Shree yantra is already present in Temples eg... Shreenathji, Tirupati Balaji, Somnath Mahadev, in Jain Derasars, it is burried in land where new construction is to be carried out for Vastu purpose. It is available in PURE SILVER, GOLD, COPPER, & SILVER GOLD FINISHED METAL. 5" x 5" to 10" x 10" sizes can be made as per order. COOPER.......... 2" X 2" Rs. 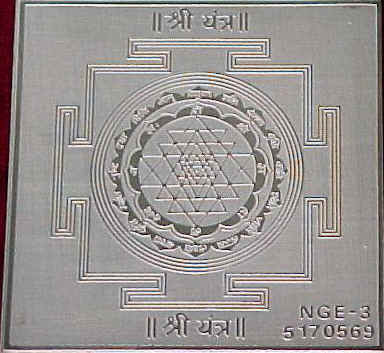 350/= [India] for out of India not possible because of the forwarding cost which is far more than the cost of yantra. Reiki Pyramid & Pencil etc..